This is one of those ideas that you have sitting on the side of the river after having to empty your boat time and time again..."what if I could keep my throw rope from soaking up water?" Here is the answer, The Ultra Dry Throw Bag is a throw bag in a sealed dry bag. 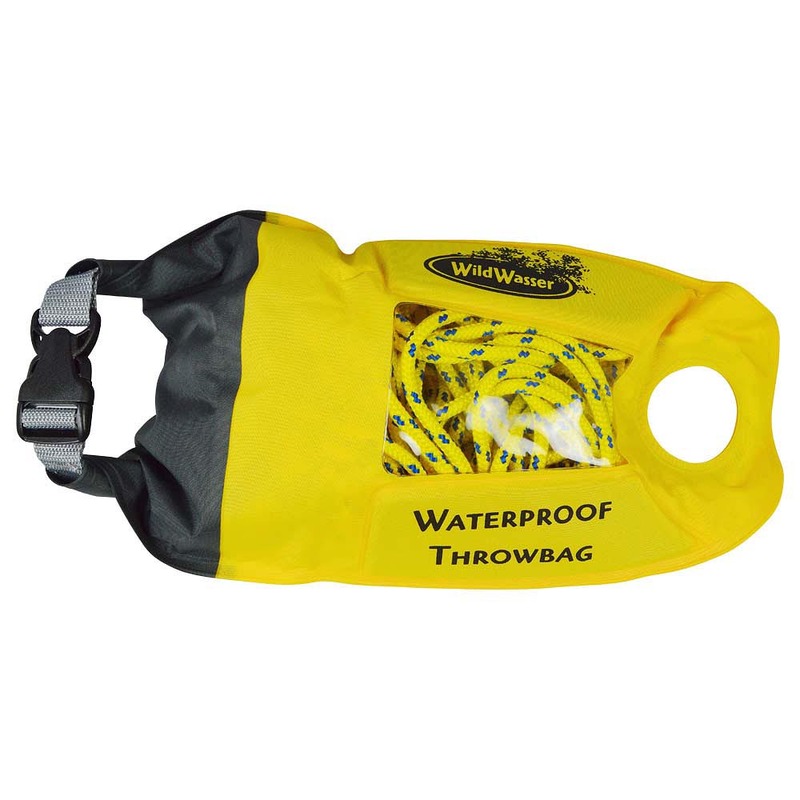 This throw bag stays lightweight because the ropes don’t hold water being sealed in a dry bag away from the elements that also naturaly wear down gear. Dry bag for storing and keeping your rope clean and dry! I'm a huge fan of this throw rope. Most throw ropes get so heavy when they are wet in your boat or on your waist, and we rarely actually need to use the throw rope. The ultra dry bag makes so much sense. It stays dry and light, which is great when portaging, and it makes your boat handle better. Keeping the rope dry also makes it last a lot longer. I always carry the ultra dry bag inside my kayak and then I have a waist bag on me for class V trips. I highly recommend the ultra dry bag for all kayakers and rafters.